When life on Earth began around 3.6 billion years ago, all organisms were small. Indeed, it took some 2.5 billion years to evolve any organism that grows larger than a single cell. Since then, things have accelerated a bit and – along with the great diversification of body forms – animals have tended to get bigger. Indeed, the largest animal ever to live, the blue whale, is still very much with us, and has been swimming the world’s oceans for only a couple of million years – a mere blink of the eye in the long, long history of life in the sea. This trend towards larger body sizes through evolutionary time has become known as Cope’s Rule, after the American palaeontologist Edward Drinker Cope. Cope’s rule has been documented or disputed in hundreds of studies of numerous animal lineages over the last century, but a new study in the journal Science provides perhaps the most comprehensive test yet of its existence. The team, led by Noel Heim from Stanford University, delved into the fossil record to compile information on the body sizes of more than 17,000 kinds of marine animals that have existed since the start of the Cambrian period, 542 million years ago. The results are clear: both the average and maximum sizes of marine organisms have increased substantially over this period, whereas the minimum size has remained reasonably constant. 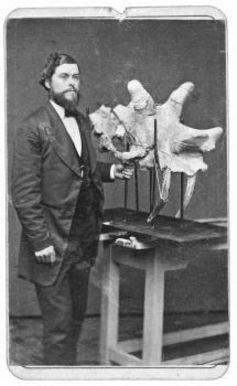 Fossil fan Edward Drinker Cope. To some extent this may seem inevitable: if life starts small, the only way to go is bigger. 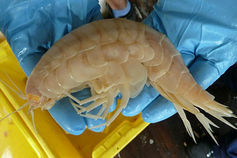 And although evolutionary biologists are always wary of narratives of “progress”, many innovations in evolution require a large body size – for example, the smallest vertebrates are inevitably larger than the smallest invertebrates, because it takes a certain size of organism to pack in all the stuff that vertebrates have. Likewise, warm-blooded marine animals like whales can only stave off hypothermia if they are more than about a metre long. So the re-invasion of the seas by the ancestors of today’s marine mammals imposed a new hard boundary on the minimum size within this group, which in turn affects the average size across groups. In the new study, Heim and colleagues tested whether the observed increase in size could be explained by a simple evolutionary random walk, where body size is allowed to change randomly at each branching in the tree of life. They also modified this to impose a minimum possible size, such that the evolution of body sizes proceeded randomly but “bounced back” if a lineage hit this lower size limit. Neither of these models fitted the observed data well. Instead, they show that only persistent directional selection for larger body sizes – due to the many advantages to being large – can explain the observed trends. Does this mean that sea creatures are all inexorably getting bigger, and will continue to do so until the oceans are full of behemoths? Not really. First, the minimum size has not changed, and – moving for a moment from evolution to ecology – it is well known that most species are small. In the seas this is especially pronounced, because marine food webs are typically highly size structured – that is, big things eat small things. It takes a lot of small fish to meet the energetic demands of a big fish, and so the only way these food webs can work is if small organisms substantially outnumber their larger predators. It’s a fish eat fish world. Second, Heim and colleagues show that most of the overall increase in body size across all marine animals is explained by the evolution of major new groups, with all of the anatomical and physiological innovation that implies. There is rather less of a drive towards larger sizes within any existing group. 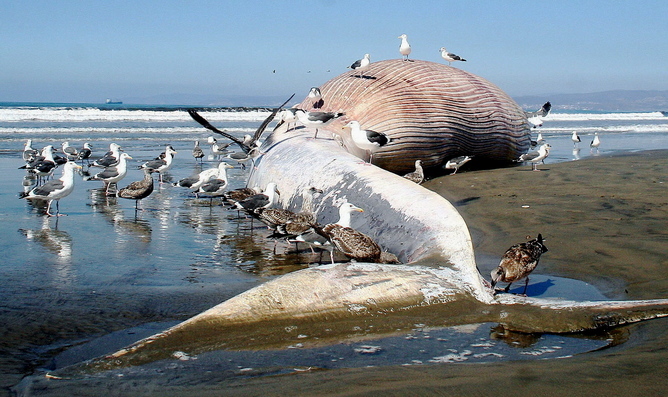 In fact, many ocean giants are already more or less as big as they could be, given physical and physiological limits. In their fascinating study Sizing Ocean Giants published in the journal PeerJ earlier this year, marine biologist Craig McClain and colleagues document the factors limiting size in many of the most conspicuous large marine species. These include the risk of tentacle tangling in jellyfish, metabolic constraints on giant clams, physiological limitations of pumping water over gills in large bony fish, or the reliance of blue whales on dense concentrations of their crustacean prey. In the case of most groups of marine animals, then, it is unlikely that significantly larger members will evolve any time soon. So, even if Cope continues to rule unchallenged, a visitor to our future oceans is less likely to find them populated with fish the size of whales and whales the size of supertankers than with some new giants whose blueprints we do not yet know. However, Cope has an important rival now as an evolutionary force, and that is you, me, and everyone who directly or indirectly exploits our seas. The attitude of people down the ages when confronted with large marine creatures is encapsulated by my reaction when I first saw pictures of newly discovered giant deep sea amphipods: “Barbecue!”. As a species we’ve been pretty effective at removing large animals wherever we roam. As McClain and colleagues say of manta rays (although this is equally applicable to most exploited marine creatures), “In the face of fishing pressure and other anthropogenic threats, it is likely that individuals in many populations may not be near their maximum possible ages or sizes.” In some species, such as plaice and cod, fisheries appear to have driven selection for smaller body sizes, and our evolving understanding of extinction risk in the seas suggests we should not take for granted the continued existence of the ocean’s giants. Of course, we have been around for too short a time to know if human-driven selection will remain a true competitor to Cope’s rule in the longer term. Indeed, as this new research shows, previous mass extinctions have led to sharp increases in body size among survivors. So who knows? Maybe Cope will again rule the waves following the current human-driven extinction crisis.